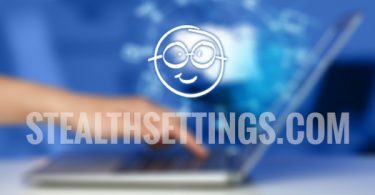 If you are using WindowsSurely you are familiar with the special key Windows (The name comes from Windows logo The printed) which can be used for fast access la Start Menu or Start Screen. 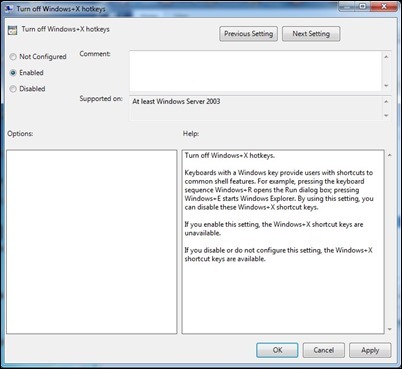 Also used in combination with other KeyIt provides access to other Feature Links or programs the system. Among shortcuts on the keyboard including Windows keyThe most popular are Windows + R (Launch utility Run), Windows + E (Launches Windows Explorer), Windows + L (blocking system), Windows + D (desktop displays), Windows + S or Windows + F (Launches Search tool), Windows + X (Displays menu Power or Win + X) or Windows + C (Displays menu Charms). 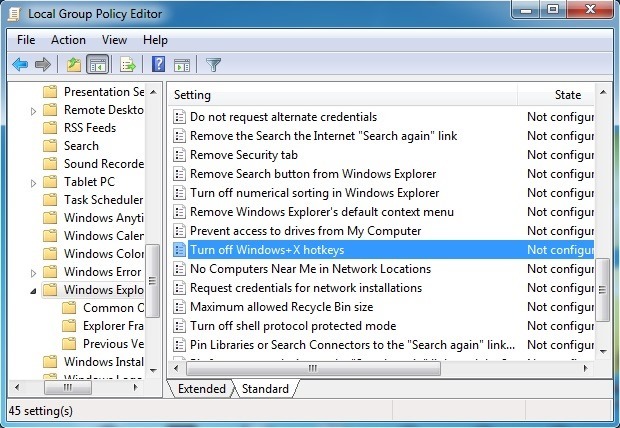 If for some reason you want to disable shortcuts including key Windows (Win + hotkeys), You can do this very simply by means Group Policy Editor. 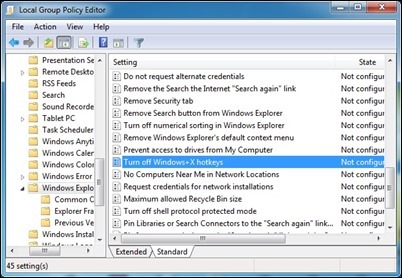 If you later want to reactivated shortcuts including Windows key, Follow the steps described above and enable Not configured or Disabled for entry Turn off Windows + X hotkeys. Success!